So far we’ve talked to BHFF programmer Joseph Hernandez, Yedidya Gorsetman, director of Empathy, Inc., about the upcoming third annual Brooklyn Horror Film Festival. To further emphasize how excited we are and you should be for another iteration of this great film fest, we’ve got another interview from filmmakers whose film will be featured this year. Check out our chat with directors Michael Laicini and David Amito about their film ANTRUM: The Deadliest Film Ever Made. Hey guys, tell us about you and your experience in film. Michael: With David as a creative partner, we’ve written, produced and directed 2 award winning shorts and a horror series titled “Who is Mr.Tom”. We love working together, which is why we formed our production company Else Films. We currently have two other very unique and genre-bending feature titles in development. David: Mike and I have always written our own work, but with Antrum it was different, we’ve never made a film using a pre-existing film. We are excited to see its reception in Brooklyn. M: Brooklyn has been incredible to work with so far. It was difficult for us to receive a screening elsewhere. You wouldn’t believe how harshly (and in some cases rudely) other festivals have rejected Antrum. The film is playing BHFF, before we talk about the film, what has the experience working with them been like? D: One festival programmer in their rejection letter wrote to us: “We believe that some aspect of this film is harmful when viewed and we will not subject our audience to it”. Our lawyer, Chester Lai, Esq tells us that screening Antrum opens up liabilities, so we are attempting to find ways to have our audience assume the liability of going to see this movie, to avoid any potential legal situations faced by the theatre screening it. 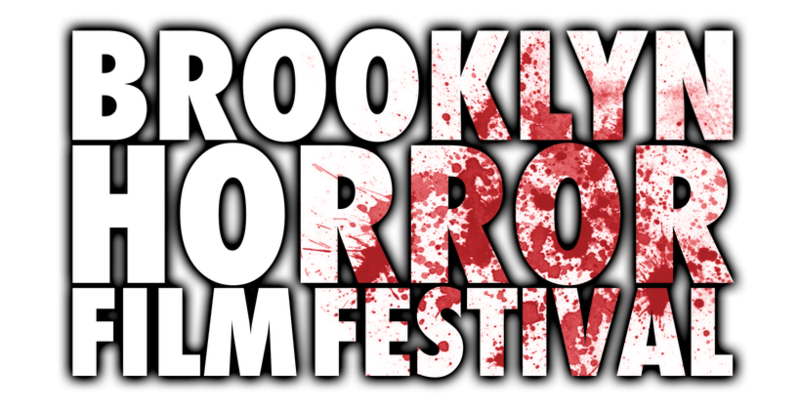 M: Not only has Brooklyn Horror Film Festival warmly received Antrum, they’ve been very eager to help promote it too! D: They’ve been amazing to work with. Ok, so tell us about the film. No spoilers. M: This will be the first public screening of Antrum in almost 20 years and there’s a reason for that, it’s believed to be an incredibly dangerous film. We’ve had festivals (as recently as this year) refuse to screen it after they experienced strange things during their preview. There are a number of documented deaths associated with people that have watched this film, that’s proven and explored in the first half of our documentary. 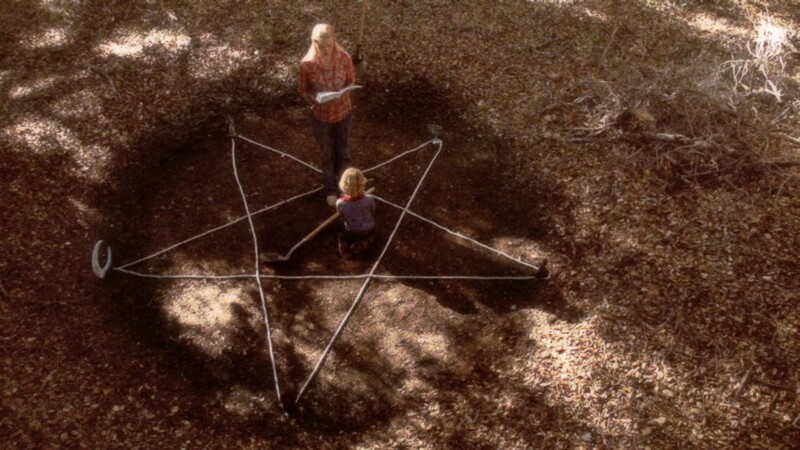 D: All that’s publicly known about Antrum is that it’s about two kids digging a hole to hell, and that a shocking number of people have died during or shortly after watching it. With the help of a film collector, we’ve tracked down an original print and sandwiched Antrum in between a documentary that screens before and after the film. The documentaries explore both the film’s history and analysis. It appears to be designed both literally and symbolically to cause harm, but is entirely up to the audience to decide. M: We took great precautions while packaging this re-release of Antrum; We didn’t alter Antrum in any way outside of remastering the original mono mix and fixing up the age and damage of the print. Any other films at BHFF you consider can’t miss? M: I’m a horror junkie and Brooklyn has an incredible lineup of horror films that I feel lucky to be apart of. My top picks would be Luz, Welcome to Mercy, and Starfish. I love getting the chance to see debut horror features. I hope to meet the filmmakers and talk shop! D: I would add Piercing, Family, and House of Sweat and Tears to that list. Any other thoughts you’d wanna share? M: A lot of people have asked us if we feel any guilt over associating ourselves with such a dangerous film. More recently, since this screening has been announced, we’ve even been harassed by people wondering how we could morally subject anybody to Antrum -“how would you feel if something does go wrong? The way I see it is: people have died doing many thrilling things like scuba diving, shark diving, sky diving, bungee jumping… and there are companies that offer those services to people looking for those special thrills. 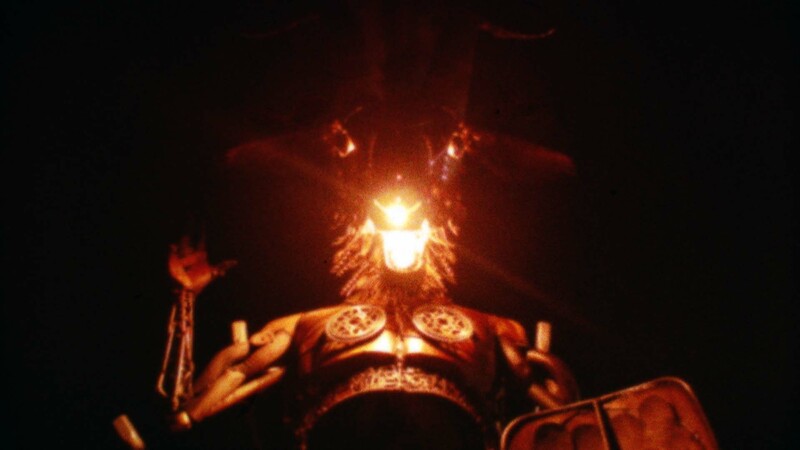 People go to horror movies to be scared and until now, with this re-release of Antrum – watching a horror movie has been a process of vicariously experiencing trauma and death through fiction. But with Antrum, the threat of death or injury is very real. Antrum is an extremely special horror movie because it directly involves the audience in the threat of death. You might die, after watching this movie… during this movie… there’s really no greater horror than that. If you’re a horror movie junkie then this is Heisenberg quality horror – 98% pure. If you are looking for a thrill Antrum is the Mount Everest of horror movies! D: Over 70 people have died watching Antrum. If you go you are assuming the risk. Our lawyer makes us say that. Antrum: The Deadliest Film Ever Made screens Sunday, October 14th at 6:00pm at the IFP Made In NY Media Center. For more info visit the movie’s page at the BHFF website.